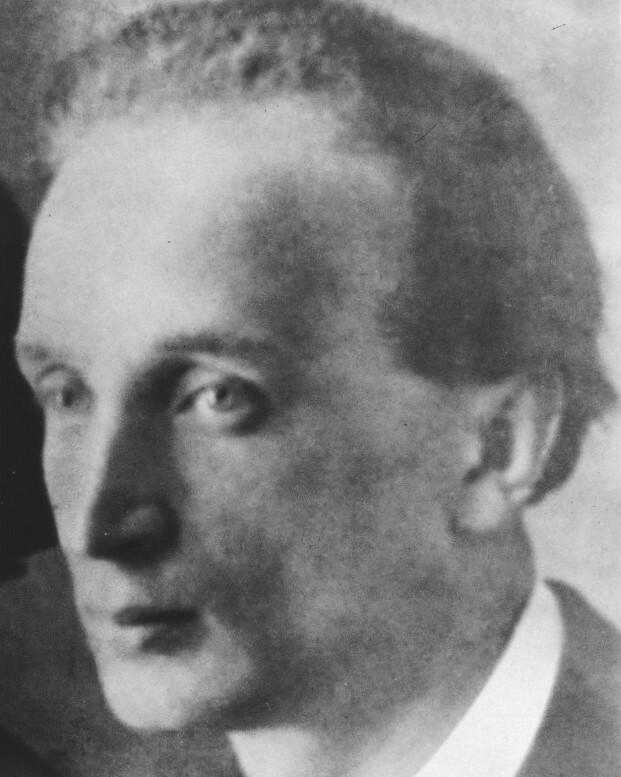 Léon Weissberg was the second and youngest child in a bourgeois and very religious family in Przeworsk, Galicia. His father was a notable in the Jewish community. Although he was destined to become a magistrate, he was more attracted to drawing and music. His father sent him to a boarding high school in Vienna, allowed him to take violin classes but forbade him to draw. When he was sixteen, after graduating high school, Weissberg ran off to take Kokoschka’s classes at the School of Graphic Arts in Vienna. There, he found himself alone and penniless. He was a student by day, played the violin in the evening, and worked at night on the reconstruction of the opera house in Vienna, which had been damaged in a fire. From 1912 to 1915, he studied at the School of Fine Arts in Vienna. During World War I, he was enlisted in the Austrian army where he served as the messenger of a general. He was discharged from service in 1918 and enrolled in law school in Berlin. He worked several jobs, taught German and violin, worked as an extra in movies, and painted portraits to command. He left Berlin for Munich in 1919, where he studied at the Academy of Fine Arts. He traveled to Dresden and studied the great German masters. In 1922, following the student tradition of the time, he walked to Italy where he visited museums and embarked on a ship to Holland. There, he discovered Rembrandt’s works. Back in Berlin, he painted Franz Kafka’s portrait. In 1923, Weissberg arrived in Paris without any luggage and went straight to La Rotonde café. There, he met Menkes who invited him to sleep in his room at the Hôtel Médical. They became friends. Together, they visited the Louvre with enthusiasm. Weissberg settled in Montparnasse in rue Campagne-Premiere. At La Rotonde and Le Dôme cafés, he met the painters Henri Epstein, Henri Hayden, Mané-Katz, Maurice Mendjizki, Dobrinsky, Soutine, Krémegne, and Kikoine, and Yiddish writer Oser Warszawski. Léon Weissberg, Menkes, Aberdam, and Weingart, who were also from Galicia, formed the Group of Four. They were the same age, and had the same cosmopolitan, German, Viennese, and Jewish Polish culture. During the fall of 1925, their first exhibition took place at Jan Sliwinski’s gallery Au Sacre du Printemps. In 1926, Weissberg met the dealers Zborowski and Vladimir Raykis, from the Zak gallery. They bought his first paintings. Raykis supported Weissberg throughout his whole life and got him a contract with two galleries in the United States. 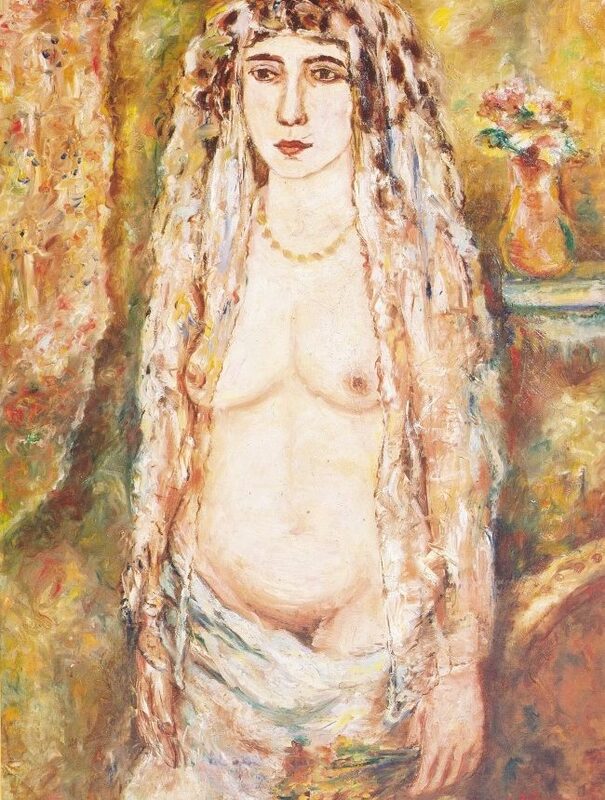 In 1927, Weissberg married Marie Pragier Ber, who posed for many of his paintings. They had a daughter, Lydie. Among his collectors was Professor N. Kiveliovich, who was behind the Jewish artists series published by Le Triangle and Dr Ber. In 1933-1934, he left for Saint-Paul-de-Vence in the south of France where he met his friend Mendjizki. In 1935, he returned to Paris and stayed at the Douanier Rousseau’s former studio, which Menkes left him before he went to America. On June 10, 1940, as the German armed forces were arriving, Weissberg left to meet his daughter, who was a boarder at the secondary school in Rodez. The Aveyron prefecture, under the authority of Vichy, put him under house arrest in a village. He fell ill and was sent to the hospital. In 1942, he was still under house arrest but changed village and moved to Entraygues-sur-Truyére. There, thanks to his contract with Raykis and the Benjamin Gallery in Chicago, he stayed at an inn. He painted small paintings due to the shortage of materials. On February 18, 1943, two French policemen arrested him. He was interned in Gurs and then in Drancy. On March 6, 1943, he was deported on convoy number 51. He was murdered in Majdanek. His studio in Paris was looted and his works were scattered.